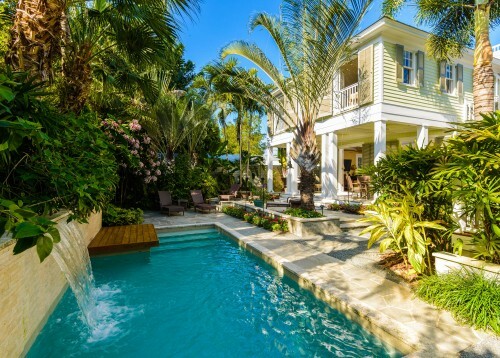 Key West Luxury Real Estate – Welcome to Paradise! Key West is America’s unique tropical island gem. Set at the southernmost tip of Florida where the blue crystal waters of the Caribbean Atlantic merge with the turquoise green of the Gulf of Mexico, Key West offers an enticing blend of scenery, history, luxury, and quirky personality that is famous for turning one-off vacationers into permanent residents. It is a great place to visit, an even better place to live, and if you have ever wanted to own a personal slice of paradise, there has never been a finer opportunity to buy a Key West luxury real estate home. 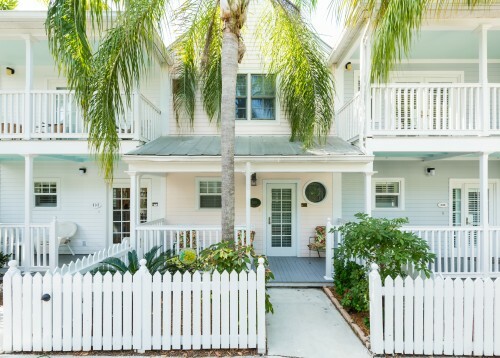 Whether you are looking for simple seclusion, beachfront opulence, a vacation get-away, or a Duval Street party pad, Key West is the place and the time is now. 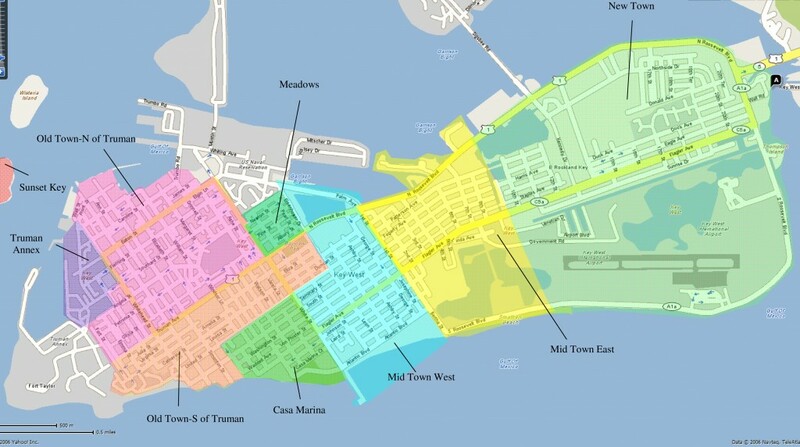 The Key West luxury real estate market currently presents some of the best investment opportunities in the country. It is the perfect time to step into a sound Key West real estate investment while at the same time paying dividends in the priceless pleasures only available in America’s sole Caribbean island paradise. In Key West, you can enjoy white sand beaches, warm gentle waters, world-class fishing and water sports, an exciting array of cultural and entertainment activities, and the exclusive atmosphere of a remote tropical island. And all while remaining in close touch with the US mainland only a short flight or a 4-hour drive away. 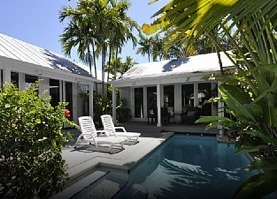 Although it is a tiny island, the variety and range of properties available on the Key West market is astounding. You can choose from the largest collection of historic wooden buildings in America to pick up an exquisitely renovated architectural classic in Old Town or browse the mix of reasonably-priced family residences and quiet vacation hide-aways of New Town. Look to the shady streets of the Casa Marina District for large, upscale villas and incredible estate homes with views of the Atlantic and easy access to the beach as well as to the fine dining and the other amenities along Upper Duval Street. 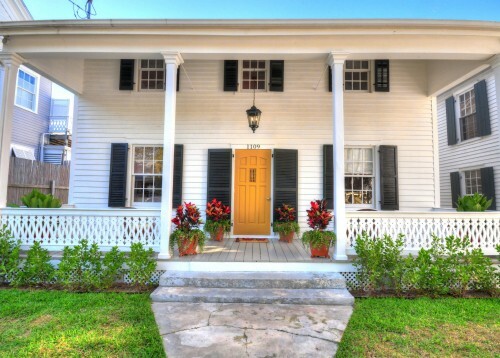 The private Key West Truman Annex Real Estate gated community, home to the Little White House winter residence of President Harry Truman, offers properties ranging from mansions and single family homes to luxury condominiums that offer investment and rental opportunities. 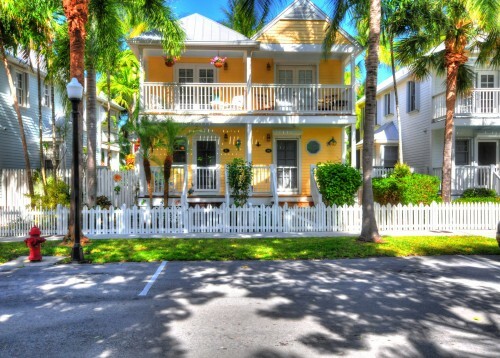 For the unique Conch houses that Key West is famous for, check out the Meadows. This small neighborhood on the east side of Old Town retains the charm of the island’s past and a real sense of community along with restored century-old island homes tucked into lush tropical foliage on some of the largest lots in town. Year-round perfect weather, amazing tropical beauty, thrilling water sports, an exciting entertainment scene, and a friendly small town atmosphere are all factors that set Key West far apart from the pack when it comes to choosing the ideal location for a luxury resort home. Key West locals like to call the island the end of the road, and not just because this is the southern-most city in the US and the home of US Highway 1 Mile Marker 0. 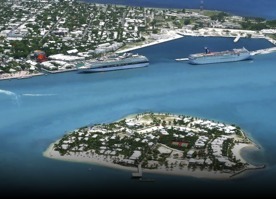 It is also because it simply does not get any better than Key West – there is no place like it. Whether you are looking for a lovely antique Conch Cottage, a perfectly located and appointed condominium that will offer you both vacation time enjoyment and solid rental returns, a peaceful place to relocate your family, or an ocean front dream property fronting white sand in a private island setting offshore, there is no better place and there has rarely been a better time to invest in a luxury resort home. 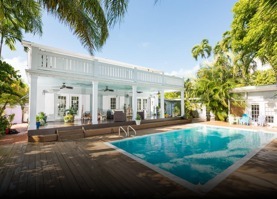 If you are ready to grab your piece of paradise, no one knows the Key West luxury real estate market better than Scott Forman, owner and Principal Broker of Royal Palms Realty. Scott is a top producer in the Key West Luxury market, with years of experience and a reputation for providing trusted guidance to local high-end real estate along with an unmatched customer service experience. 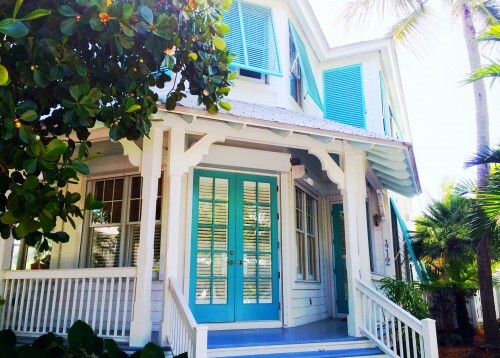 Scott and the team at Royal Palms Realty are your keys to the Key West luxury property of your dreams. 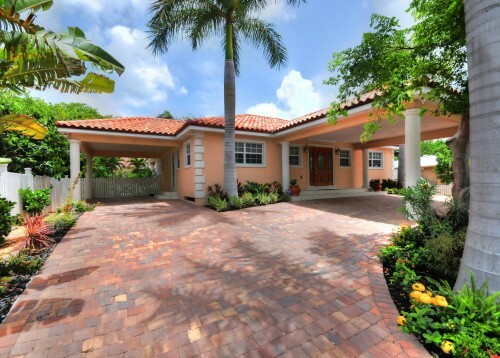 They will make the entire experience a real pleasure, helping you explore magnificent homes that will delight your senses while at the same time keeping you on track with the numbers and market information that will help ensure that your Key West luxury home purchase is also a sound investment for the future. Subscribe now for exclusive updates & tips! Founded by Scott Forman, Royal Palms Realty is a top grossing Luxury Key West Real Estate company, specializing in Key West's Old Town, Casa Marina, Truman Annex, Midtown West, The Meadows, Sunset Key, Shark Key, Transient Rental Properties, Investment Property and Luxury Waterfront Properties. "This was not our first time buying a place in Key West, but it was our first time working with the team of Scott, Rudy and Harry. These three worked in perfect harmony from beginning to end. As with most ..."
“Great working with Royal Palms! They really know the market and went all out in representing us in our purchase. Everything was so easy. Their follow up is incredible! They quickly became friends. Thanks for everything! They are the "go ..."
“Scott and Sara did an excellent job finding the home we were looking for. They took the time to understand what we wanted and gave us peace of mind buying our southern home. 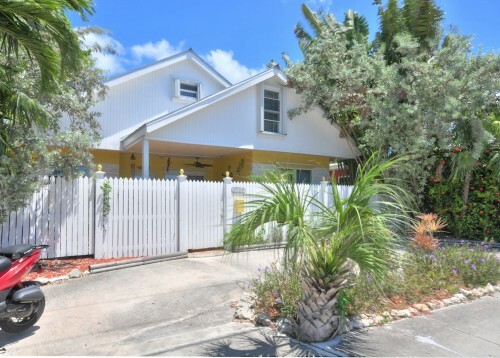 Their knowledge of the area has proven ..."
"I had been actively pursuing my retirement dream home in Key West, Florida for almost ten years and I had gone through two other Key West real estate agents. I was very lucky to find Scott Forman. “Scott is the ..."
"Since 2007 Scott has represented me in 4 real estate transactions. He found me a "once in a bi-decade" deal at a great price. Scott is always informed and attentive, and gives outstanding effort in his client's behalf. He is ..."
“My wife and I had the greatest pleasure purchasing our dream retirement home at 805 Virginia Street, Key West, with the highest degree of professionalism, courtesy and assistance that we have ever seen from a realtor in our lives! Scott ..."
“You said you would sell our house quickly and at a reasonable price and you did exactly what you said you would do. It was truly a pleasure working with you and Sara, and your helpfulness throughout a stressful time ..."
"We met Scott in 2008 when we were looking for our retirement home in Key West while living in Oklahoma. We were immediately impressed with his calm demeanor and extensive knowledge of the real estate industry and the Key West ..."
"I have worked with Scott since the summer of 2007. He has helped me locate, purchase and sell two properties in the Florida Keys. He has proven himself to be a very reliable, honest and professional real estate agent. I ..."
"Once my wife and I decided we wanted to seriously consider owning a home in Key West, we needed to find a realtor. We didn’t have close friends in the area for a referral so we had to rely on ..."
"With the help of Scott Forman I was able to purchased my first home in America in over 20 years. 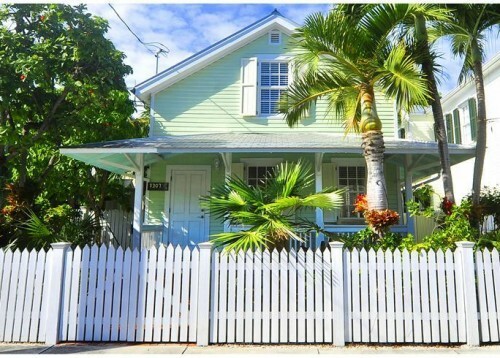 Having not lived in America for a while and wanting to be absolutely sure of my home purchase choice I ..."
“Royal Palms Realty went above and beyond of what we were expecting when buying our first home in Key West. 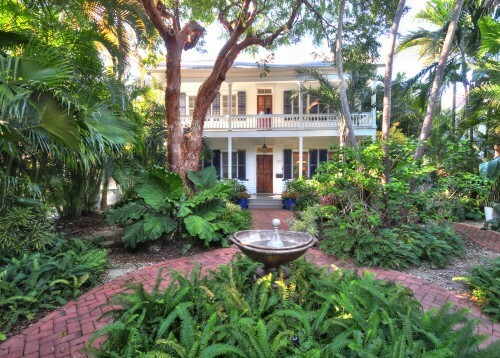 We had limited time in Key West, even with the threat of impending hurricane, and Scott Forman arranged appointments to ..."
"Scott Forman is a Rare Find - Knowledgeable, Responsive, Helpful & Honest! We are seasoned investors in the Northern Virginia real estate market, but when it came to purchasing a 2nd home for ourselves in the Paradise of the Florida ..."
"I have closed many transactions with Scott over the years and have always been very impressed with how he treats his customers. Scott is a full service realtor and works continuously toward a smooth closing. Scott is not deterred by ..."
"I have been working with Scott Forman for the past several years and he has always been the consummate professional. His extensive knowledge of the market, work ethic and level of customer service makes him an invaluable asset to anyone ..."